Home>New Mixtapes>Cozz Mixtapes> Cozz & DJ Megan Ryte Team Up On "Aftermath Of My Dreams"
It's been a major year for the Dreamville camp. Cozz kicked off 2018 with the release of his debut album Effected. Although he hasn't released a whole lot of music since the release of the project, the rapper's currently putting in work on his sophomore release. However, it looks like until then, he's given us a little something to hold us over. Cozz teams up with DJ Megan Ryte for their five-track effort, Aftermath Of My Dreams. 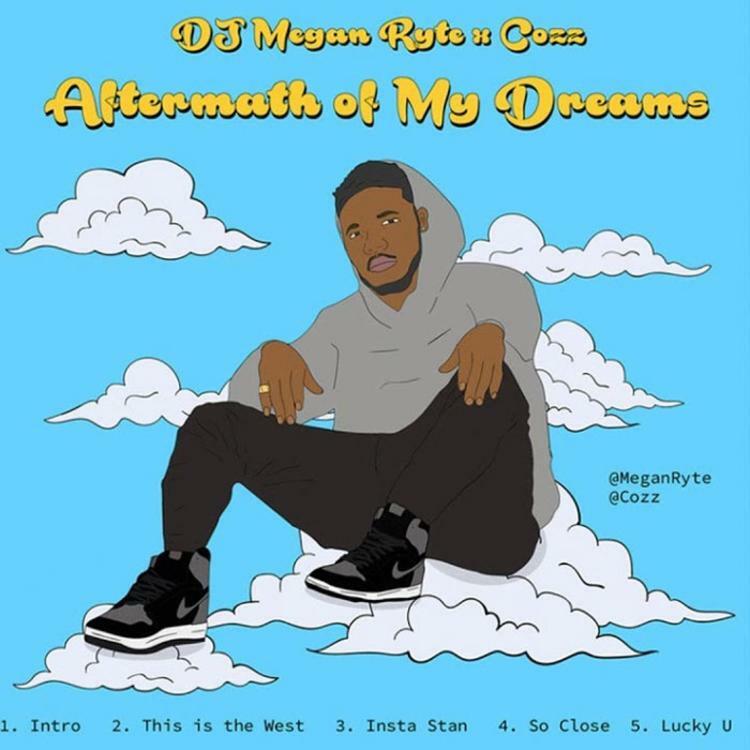 DJ Megan Ryte teams up with Cozz for their joint effort, Aftermath Of My Dreams. The project is five tracks deep and finds Ryte choosing out each beat for Cozz to snap on. Cozz goes in on beats from Eminem, The Game and Goapele. Aftermath Of My Dreams is the first of a five-part series where Ryte picks beats for rappers and has them freestyle over it. Leikeli47 Drops Off 3 New Tracks On "Design"
MIXTAPES Cozz & DJ Megan Ryte Team Up On "Aftermath Of My Dreams"